Prof. Jordan Steiker, holder of the Judge Robert M Parker Endowed Chair in Law and the co-director of the School of Law’s Capital Punishment Center, has been awarded the Hamilton Book Award, the highest honor for literary achievement given by the university to UT Austin authors. Prof. Steiker’s book, Courting Death: The Supreme Court and Capital Punishment (Harvard University Press), which was co-written with his sister, Harvard Law School Prof. Carol Steiker, has received wide acclaim since its release a year ago. The annual award is named for Robert W. Hamilton, the Minerva House Drysdale Regents Chair-Emeritus in Law. Prof. Hamilton served as chairman of the board of the University Co-op from 1989 to 2001, and the awards are presented jointly by the university, the Co-op and the Office of the Vice President for Research. The Grand Prize comes with a $10,000 honorarium. “Each year, scholars from across the university produce an amazing array of books that demonstrate the quality and productivity of our faculty, researchers, artists and scholars,” said Dan Jaffe, vice president for research at The University of Texas at Austin. “The Hamilton book awards recognize a select group for the very best output in a given year.” Among distinguished company, the Steikers’ book was considered the best of the best. 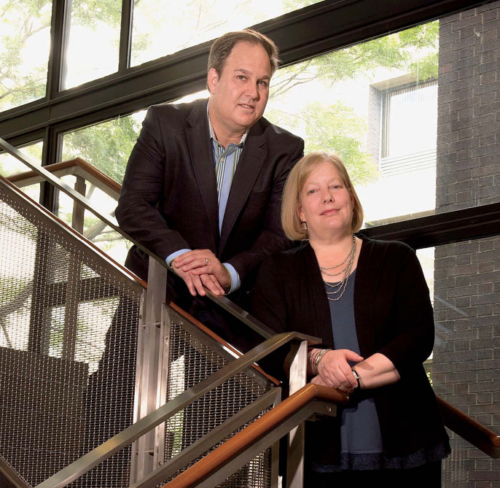 Read more about Jordan Steiker and Carol Steiker’s “Courting Death” in our article “Jordan Steiker: Changing how America thinks about capital punishment” and in the Harvard Magazine cover story “Death Throes,’ penned by New Yorker columnist Lincoln Caplan. Steiker has two other books in the works, and, with his colleagues, is developing a new interdisciplinary program for the training of mitigation specialists in capital litigation.